With your University Checking account, you’ll get a free Designer Debit card. 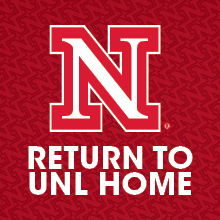 As a UNL employee, you have access to two exclusive UNL debit cards. Click the UNL tab below to view the cards. If you’re already a Union Bank customer, you can get your designer card for free* when you Refer-a-Friend or by paying the $5.00 upgrade fee. Simply call us (402) 323-1777 or toll-free (800) 297-2837 and we’ll be happy to help. *For the referrer and friend, $5 designer debit card fee waived on initial card. The free designer debit card does not apply to Limited Edition, Mascot or Signature debit cards; for MyStyle Checking the designer debit card is one of three account designer features.